HomeFor ClientsAnalyticsForex Analysis & ForecastsForex Technical analysis and forecastsForex Technical Analysis 2010/11/03. EUR/USD, GBP/USD, USD/CHF, AUD/USD Forecast FX. Forex Technical Analysis 2010/11/03. EUR/USD, GBP/USD, USD/CHF, AUD/USD Forecast FX. In case of the EUR/USD currency pair the “triangle” has been finally broken. As it seen from eurusd forecast, the pattern is broken upwards which means that we should expect the price to grow. 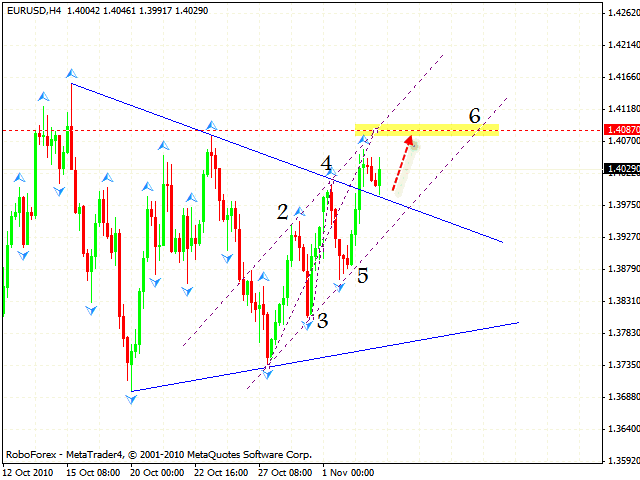 At the moment the closest target is the area of 1.4087. One can try to buy the pair with the tight stop near the level where the “triangle” was broken. 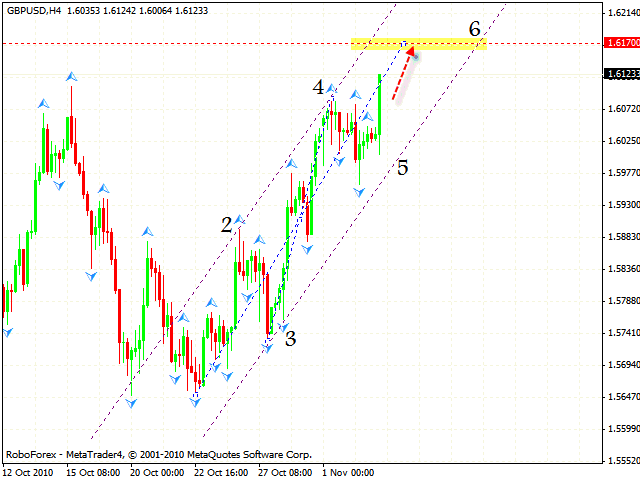 In case of the GBP/USD currency pair the yesterday’s gbpusd forecast is coming true. We don’t recommend you to sell Pound that you bought yesterday at the level of 1.5977.The target of the growth is the area of 1.6170. We also do not recommend you to buy from the current levels. 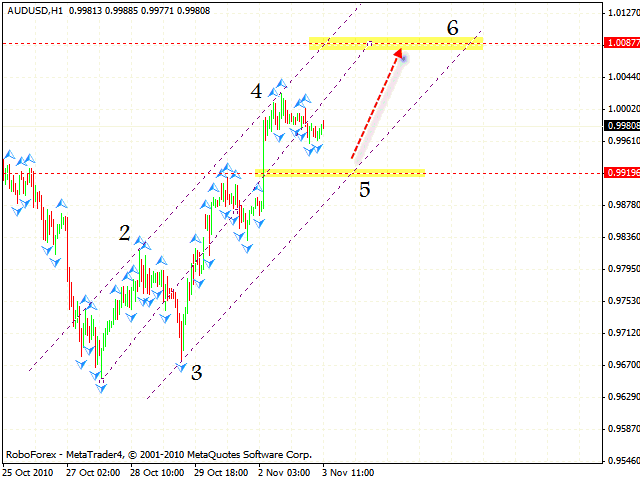 Franc has left the rising channel without reaching the targets of the pattern. At the moment we can expect the rate to fall into the area of 0.9720. After that it will be corrected towards the level where the channel was broken. Judging by forex technical analysis usd chf you can try to sell the pair from the area of 0.9850 with the target of 0.9625. 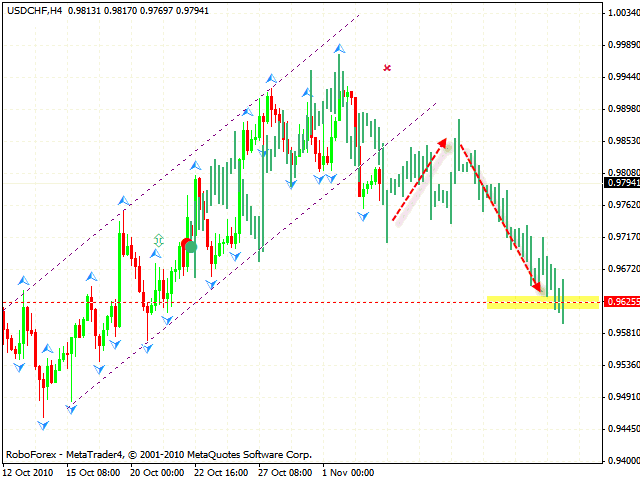 Australian Dollar has not fallen into the area where we can buy the pair, as it was expected. According to aud usd analysis, we should still expect the price to test either the channel’s lower border or the area of 0.9920. One can try to buy the pair from this area with the target of 1.0080.